Benue State Governor, Samuel Ortom, has directed the Commissioner of Finance and Economic Development, Mr David Olofu, to immediately address complaints arising from the payment of January, 2018 salary in the state. 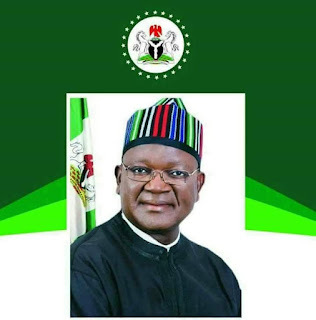 Governor Ortom gave the directive following complaints of underpayment and other anomalies in the salaries of workers and other public servants. He said there was no new salary structure in the state and that underpayments were anomalies which should be rectified immediately. The Governor stated that a meeting would be held with state and national officials of the Nigeria Labour Congress on the outcome of the Abounu-led Salary Verification Committee before its full implementation. He restated his pledge to regularize the payment of salaries with effect from January, 2018 and to source for funds to pay the arrears and expressed appreciation to workers in the state for their patience, resilience, understanding and support.